You are here: Home / Uncategorized / Kicking Off A Busy Summer! Kicking Off A Busy Summer! Over the last few months we have been hard at work on the Insurance Exchange Building in downtown Sioux City. 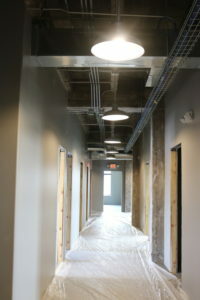 Three floors are being completely remodeled to create a large amount of commercial office space. 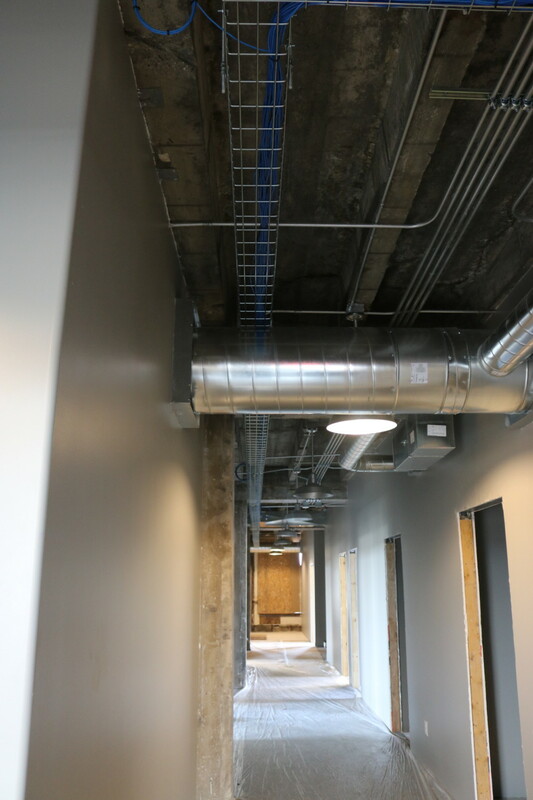 With wonderful views of downtown and a great location, these offices will provide a great space to work. 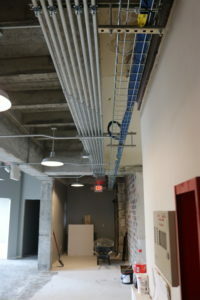 As I mentioned, this was a complete remodel, so every bit of the electrical throughout the space has been installed new. 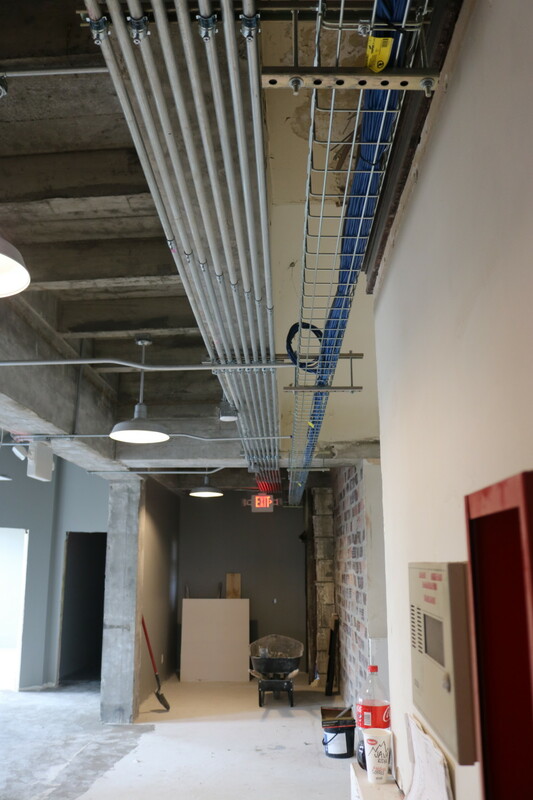 The exposed concrete ceilings allow for us to display our conduit bending skills, while offering a challenge or two along the way. Paull and Russ take a lot of pride in their work, and it really shows when you walk the halls of this space. 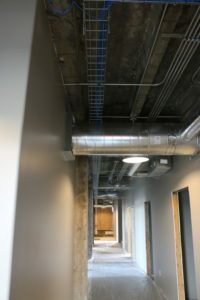 All new LED lighting throughout the space provides some great, energy-efficient lighting. This really is a great looking space! As you drive along either end of Gordon Drive, I am sure you have noticed the two Perkin’s locations in town have a new look. 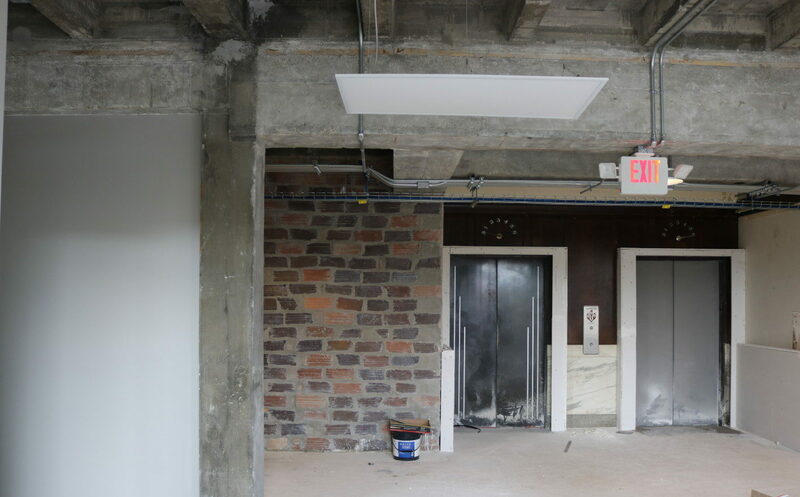 Each restaurant experienced a week long remodel, during which time we removed the existing fixtures and installed all new LED lighting. A number of cosmetic changes were made both inside and outside, and both places look great. We would like to thank Marty for all of his hard work on this project. We wrapped up work on the Homer Fire Station a couple weeks ago, and we were very pleased with the final product. Russ did a great job on this project. This job was a bit tricky, as it was an addition to the existing fire station, but our guys made it look easy. We are proud to say we were a part of this wonderful new Fire Station for the Village of Homer. We will have plenty more to share in the weeks to come, as we will be wrapping up a few projects and getting a start on others. Keep checking back for more updates.